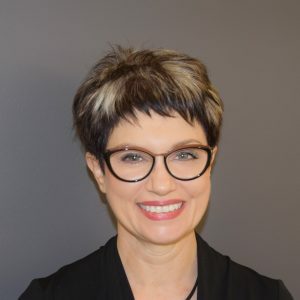 Elizabeth graduated from the University of Melbourne and has over 30 years experience as an independent Optometrist. Her special interests are contact lens fitting, especially multifocal contact lenses, prescription sports glasses and ocular disease detection utilizing the latest digital and 3D technology. Elizabeth is a member of the Contact Lens society of Australia and is currently undertaking further training through the Australian College of Optometry to obtain her therapeutic endorsement. Elizabeth likes to be known as Liz, and in her spare time enjoys all sports especially cycling and golf and spends most winter weekends watching her AFL team, St Kilda. She has a passion for travel, good food and her family. These interests ensure that Liz is always striving for the best optical solution for her patients so that they can enjoy all facets of their lives with the best vision possible! 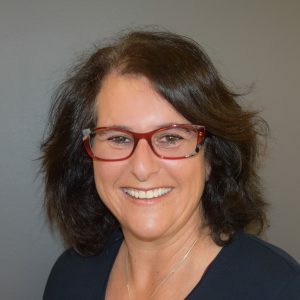 Vicky Tranis has been in private practice in St Kilda Eyecare for over 25 years as a partner, and has worked as an optometrist for over 30 years. In 2002 she has gained her therapeutic endorsement after undertaking an additional year of study at the Australian College of Optometry. She is a member of the Australian College of Optometrists, Orthokeratology Society of Oceania and Contact Lens Society of Australia. Contact lens fitting is a large part of St Kilda Eyecare and Vicky especially enjoys fitting contact lenses for correction of astigmatism, and multifocal and Orthokeratology contact lenses. As well as allowing Vicky to grow as an optometrist, being in private practice has given her a myriad of other skills which she enjoys as much as testing and caring for peoples' eyes. She loves the fashion side of the boutique practice and is passionate about not just making people have optimum vision in a myriad of daily tasks, but also about making people feel fabulous in their new glasses. In her spare time she enjoys travelling and reading; she attends a gym as well as doing yoga and Pilates; she also enjoys theatre, ballet and film and spending time and sharing food with her family and friends. She is married, and has 2 adult daughters.